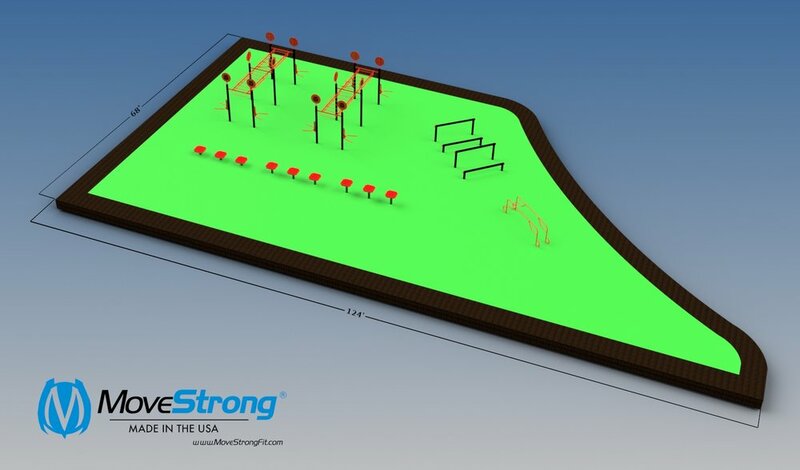 Phase 1 included excavating the grass area with the custom #MoveStrongTrex and other FitGround stations installed. Next prep work and infiltration for the 5,500sqft of training turf allowing for plenty of room for exercise and agility needs. 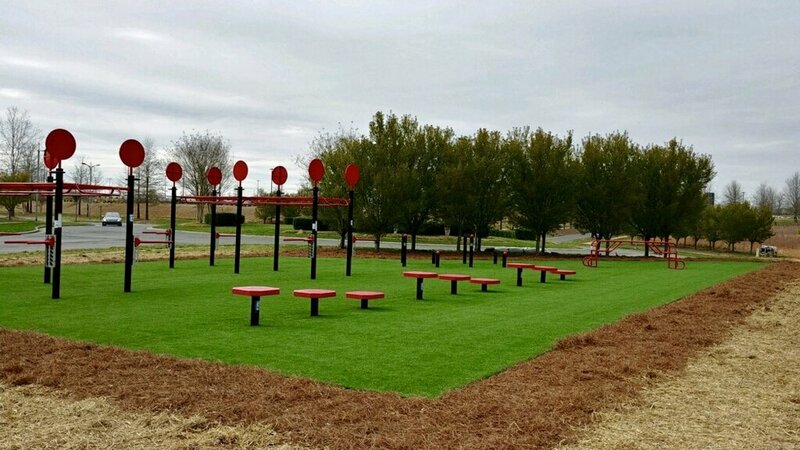 Group outdoor workouts like bootcamps, Crossfit classes by local CrossFit affilate gym, as well as employee workouts and fitness challenges can take place in this newly dedicated outdoor fitness space. 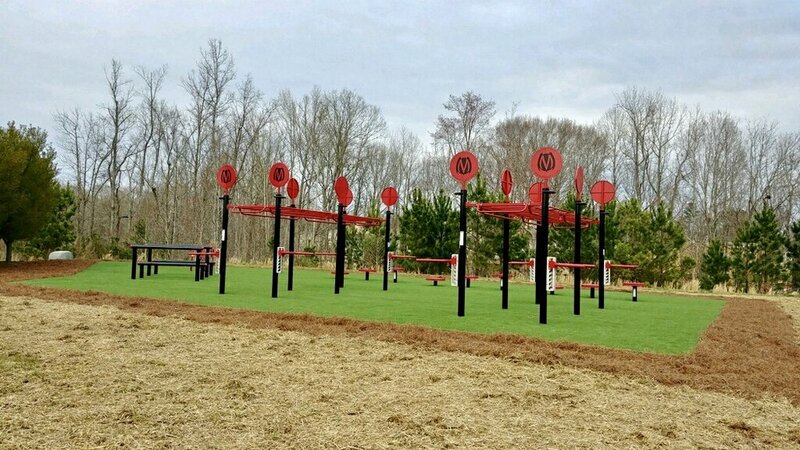 Office Park tenants Movement Mortgage, HoneyWell, CompuCom, and others have a dedicated Outdoor Fitness amenity of their own! Now workers and visitors can take a break from those long hours in the office to get fit and move a bit outside! There are many benefits to healthy employees in the workplace and this Office Park landscape design and fitness amenity makes it that much easier for employees to stay fit, encourage a heath lifestyle, while reducing stress at work, building friendship, teamwork, and comradery between co-workers. Contact Rise Up Gym - Home of Rising CrossFit for info on outdoor CrossFit classes to take place once ready!